Paradise Cove is a 4000sqm privately owned piece of paradise only accessible by bus, boat, seaplane or helicopter. A perfect white sandy beach with oceanfront tropical gardens, the towering coconut palms and the beautiful bath house will ensure that not only will your day be memorable but the photographs stunning! 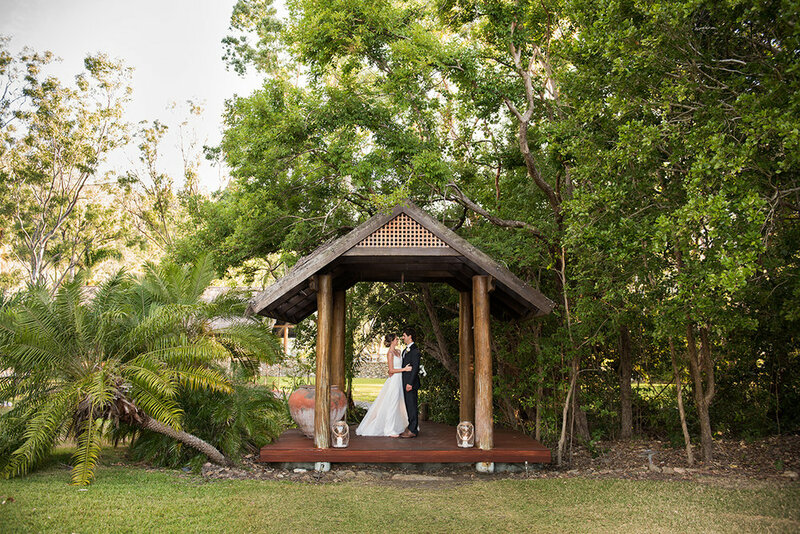 You can book the private estate for your wedding day and choose from 3 ceremony locations; poolside, the sprawling lawn or directly on the beach. Paradise Cove is the perfect location to take your guests to another place, whether it be a wedding or corporate event this venue is stunning. Accommodating up to 60 guests with 32 overnight the resort features 5 private rooms including a bridal suite and award winning outdoor bath house and 4 shared rooms. Guests can enjoy free use of all resort activities including paddle boarding, kayaks, tennis court, jacuzzi, pool and more with the optional add on of a Thundercat fast boat private charter for up to 32 guests to visit Whitehaven Beach, Hill Inlet and snorkelling on the fringing Great Barrier Reef.